Burlington Pike to Camp Ernst, Left on Gordon, Right On Urlage, near end on left. 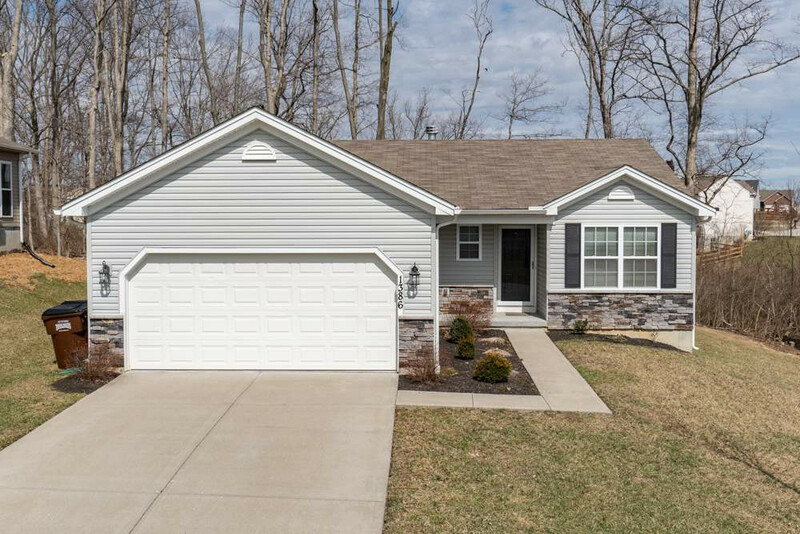 Cute 3 bedroom 2 full bath Ranch on a cul-de-sac street in Gunpowder Trails! Split bedrooms! Master bedroom with walk-in closet and master bath with double vanity. Two car garage, Large unfinished basement! House is only 4 years old! Wood burning fireplace! Nice wooded lot! First Floor Laundry! Immediate Occupancy! USDA 100% Financing!! Sit on the back deck and enjoy the view! !